Chef Carla Hall, the affable finalist from season five of "Top Chef," says she loves bistro food. 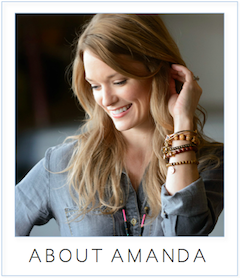 "If I'm dining out, I usually go for things I'm not going to make for myself like mussels or a great burger." Hall is the owner and executive chef of Alchemy Caterers here in DC, and you'll also find her teaching classes at CulinAerie. 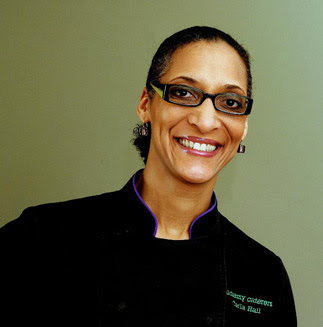 Her next class, “Carla Hall Cooks Spring,” is Monday, May 24 at 6:30 p.m. Here are her bites. 1. Steamed mussels with white wine, garlic and parsley at Brasserie Beck. I like how plump, flavorful and clean these mussels are. Plus Beck has great bread and fries. 2. The "Sunnyside" burger at Spike Mendelsohn's Good Stuff Eatery. It's topped with a fried egg and it comes on fresh brioche that's soft and squishy. 3. Pho at Pho 75 in Rockville. Delicious, flavorful and you really get your money's worth. 4. For special occasions my husband and I will go out for dinner. This year it's Restaurant Eve for my birthday, and we've booked way in advance to go to Volt for his. 5. Spring soups made by my students at CulinAerie. I love teaching people how to make soup. Sometimes it's about learning how not to follow a recipe, and learning how to find your own “yummy.” Soups do that. Carrot soup can take flavors, spices from all over the world. A little update. I unexpectedly went to Restaurant Eve before my birthday, so my husband and I went to Blue Ridge Restaurant. The food at both were great. Thanks for the update, Carla! Sounds like lots of good eating.